Our background features a great pub from around the world. Every few weeks we update with a different pub. 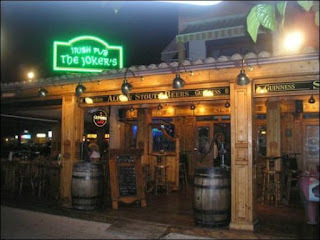 Everyone knows that some of the best information, conversations and group ideas occur in pubs all across the world. Leadership Pub Talk is the place to find out what's happening at our company, The Leadership Publishing Team. December 2018--February 2019. 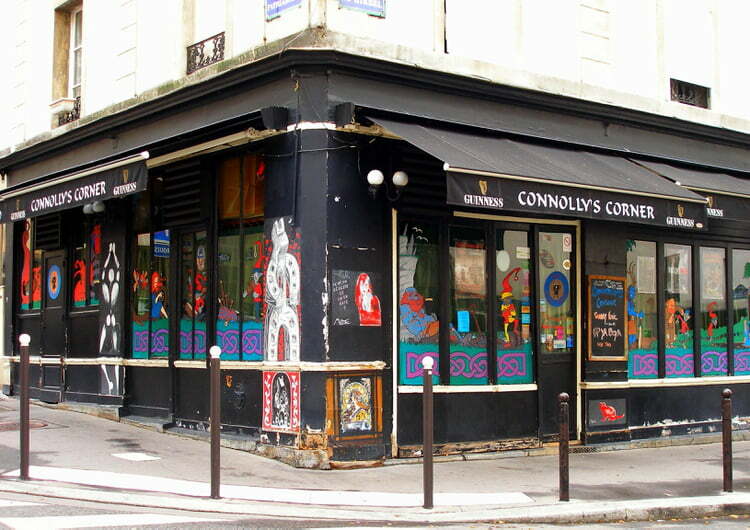 Connolly's Corner, Paris, France The oldest Irish pub on the left bank, and one of the three oldest in Paris. It’s squirrelled away on the Rue Mouffetard. 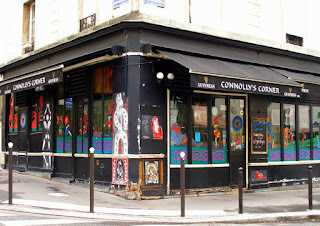 So happy are those who find it, for it’s said to serve the best Guinness in Paris. It’s usually just the regulars, a few passing students, and connoisseurs who know that the venue hosts darts tournaments and concerts and, what’s more, a magnificent collection of ties. This is thanks to the tradition (now abandoned) requiring anyone wearing a tie to cut it off and offer it up to the proprietor. September 2018--November 2018. 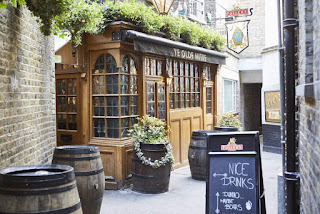 The Ye Olde Mitre, 1 Ely Court, Ely Place, Holborn, London. 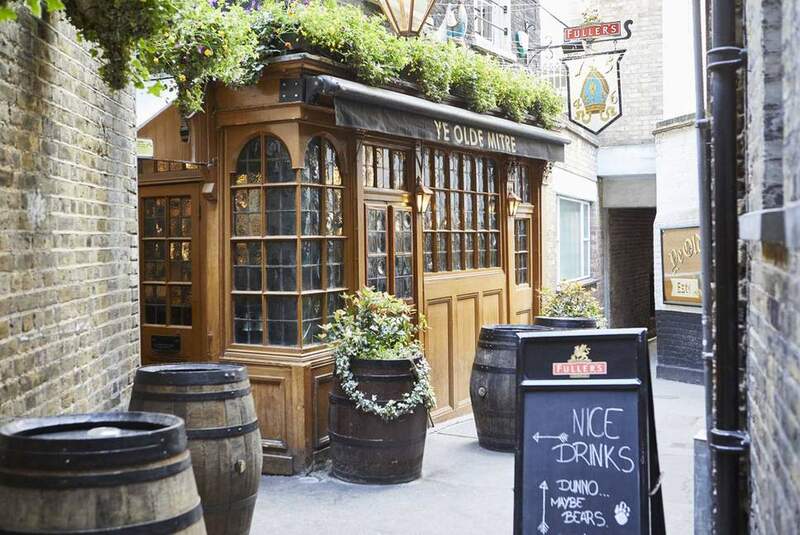 Often described as the hardest pub to find in London, the Mitre is located through a narrow passageway off Hatton Garden. English Heritage documents indicate that the pub was built about 1773, and remodelled internally in the early 20th century.Queen Elizabeth I is said to have once danced around a cherry tree in its back garden with Sir Christopher Hatton, one of her favorite subjects. April 2018--August 2018. Widder Bar, Zurich, Switzerland. 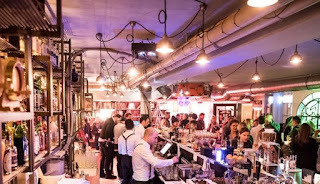 Located in a medieval building in the heart of Zürich, lies the renowned Widder Bar. Not only does the elegant bar offer one of the best whiskey selections in the country but also hosts some of the world’s most talented jazz artists. 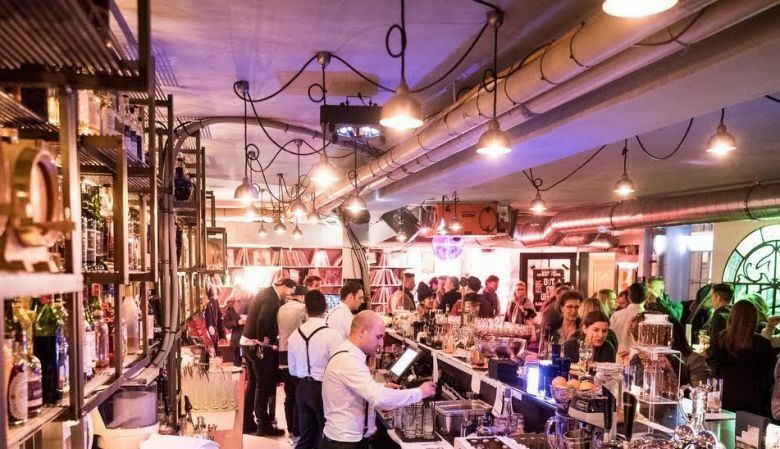 Widder is one of the most sophisticated bars in the city, as well as one of the most noteworthy institutions in Zürich. March 2018--April 2018. 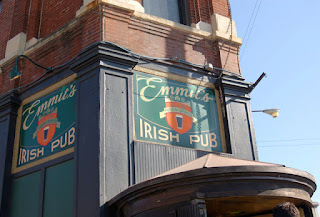 Emmits Irish Pub, Chicago, Illinois. Before Emmit's opened in River West in 1996, the site was a bank with ties to the mob, then a bar popular with cops before getting shut down in the mid-1980s for dwarf tossing. In its current incarnation, Emmit's has appeared in movies such as Ocean's Eleven, Backdraft, and Uncle Buck . So yeah, it's a storied place. January 2018-March 2018. The Swiss Restaurant and Pub. 1904 South Jefferson, Tacoma, WA. “YOU’RE A STRANGER HERE BUT ONCE” The Swiss Restaurant & Pub is housed in an historic 1913 building in the midst of downtown museums, retail shops and the University of Washington, Tacoma. December 2017 & January 2018. 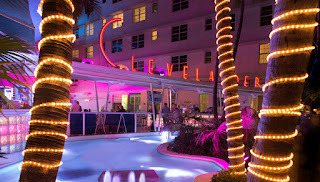 The Clevelander, South Beach Miami. 1020 Ocean Dr, Miami Beach, FL. 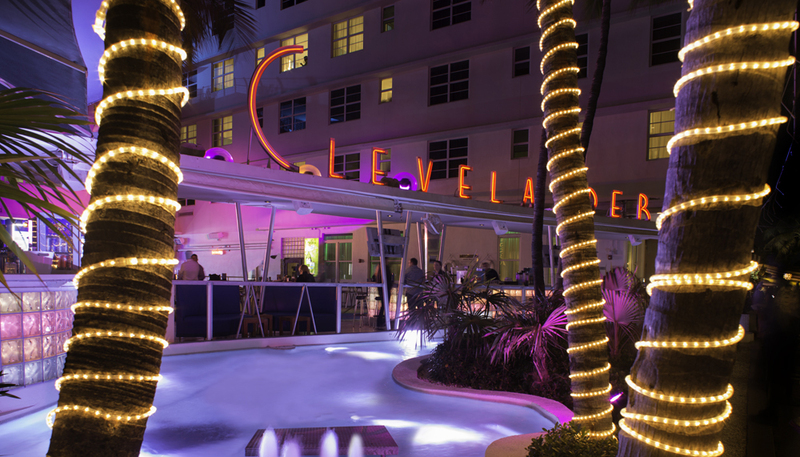 The archetypal Miami Beach pub, the Clevelander offers a high concentration of tiki stylings, pink neon and drink—all served under open skies and illuminated palms. Like many of the models who participate in the body painting and other cheesy contests here, it has recently undergone some cosmetic enhancements. But all the best bits remain. October-December 2017-- Swift Hibernian Lounge 34 E. 4th St., North. Bowery; New York City. 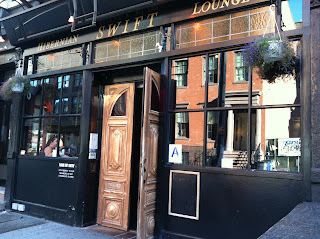 The pub is named for the Irish writer Jonathan Swift; scenes from his work are depicted in murals on the wall. The wooden floors are uneven and run charmingly ragged, the pub’s community bona fides are strong; up front, for instance, there is a plaque honoring 9/11 firefighters. Swift Pub is a perfect place to end the night, even if you began it there. September & October 2017--The Old Sailor Pub, Amsterdam, Netherlands. 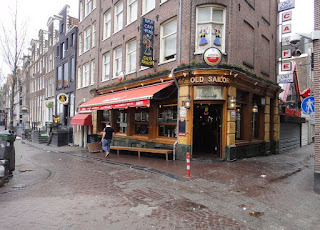 Located in the center of Amsterdam, in the middle of the Red Light District you will find the best bar in Amsterdam, The Old Sailor, with the perfect blend of people from Amsterdam and tourists. Good music, great staff and every football game there is.